Online audio programs, including presentations, panel discussions, documentary and online interviews, talk radio guest appearances, broadcast radio news and feature stories, green performances, and radio documentaries with a broad focus on energy use, sources, generation, conservation and policy. 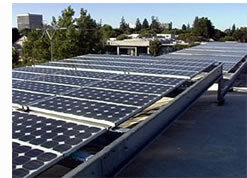 Specific topics include renewable energy alternatives (solar, wind, biofuels, geothermal, hydroelectric, microhydro, ocean thermal, and wave energy), fossil fuels (oil, coal, and natural gas), nuclear energy, energy efficiency and conservation, vehicle fuel standards, cogeneration, distributed generation, and energy policy. Presentations also cover energy use by the internet, oil available from The Artic National Wildlife Refuge, and the true cost of fuel (counting externalities such as climate change, degraded air quality, and extraction impacts).